Today we are interviewing T.N. Newborn, author of the epic fantasy novel The Staff of Tzaddi. I am an Alabama native, born as the second youngest into a household of six creative and talented souls. Because of this my love of epic fantasy and science fiction flourished. After attaining a Bachelor of Arts Degree in English from Birmingham Southern College, I continued a career in Freelance Writing and Editing. 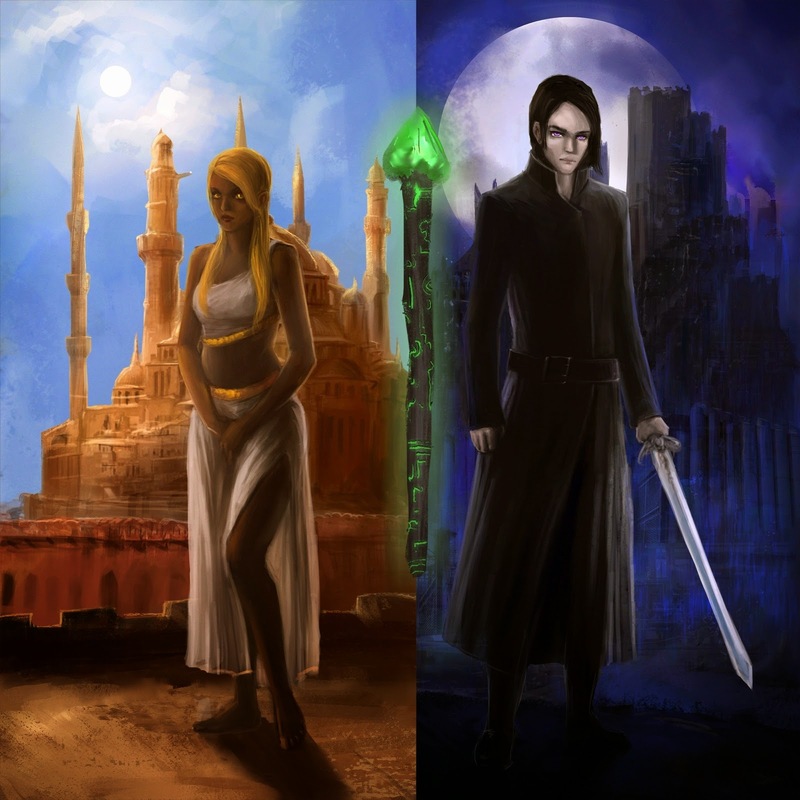 I am obsessed with writing and have enjoyed the process of finishing my first book, The Staff of Tzaddi. Describe the plot of The Staff of Tzaddi in a few sentences. Prince Teiwaz Zayin is the future king of the Dark Dwellers. He is obsessed with one thing: vengeance. Since his mother’s untimely demise, nothing has mattered more to him than retribution. Meanwhile, a secret menace is rising, seeking to use the Staff of Tzaddi to destroy the world. When Teiwaz meets Sowelu Kano, the first Light Dweller he’s ever seen, they embark upon a quest to stop the staff from falling into the wrong hands. I think younger readers, lovers of epic fantasy will really enjoy this book. I wrote this story for those who are exceptional but feel compelled to hide their talents and their unique way of viewing the world. I wrote this book for those who need to see that it’s ok to be true to yourself. Do you think your background, as someone with an English degree, influenced your writing style? Yes, I do. I have been in love with the written word since before I could actually write the alphabet! This love of reading and writing motivated me to attain my English degree. I learned so much about the art, studying various genres such as magical realism, Victorian, and gothic. Putting my hands on seemingly every genre under the sun inspired me in so many different ways and that influence can be seen in my writing. When did you first get interested in epic fantasy? I first fell in love with epic fantasy when I was fourteen years old. I loved building new worlds, creating characters with extraordinary abilities. That love over the years has never ceased; it has fueled my need to master this style of writing and this genre. Are there any fantasy authors who have influenced you? Yes, one of the biggest inspirational figures for me was Christopher Paolini. When I first read Eragon, and saw what such a young talent could create, I stopped putting age barriers on success. Also I saw how one so young could build a world and fantastical characters that felt so down to earth and relatable. I knew then that this was the key to successful writing; having one’s characters connect with readers regardless of their other-worldliness. The Staff of Tzaddi boasts an eclectic cast of characters. Which one was your favorite to write? My favorite character to write was Prince Teiwaz Zayin. The reason being is that this character is so much like me. He is nearly consumed by anger, on the verge of being lost to it, but through the love of another, he begins to seek redemption. I am in the early stages of writing a prequel to The Staff of Tzaddi from the point of view of the antagonist. This is an exciting project for me because I get to further explore the world I created and push myself as a writer. The antagonist is a character who ultimately succumbs to hatred and madness and it is both fun and challenging writing from his perspective. Yes, the best part of the story is how the love between the two main characters, who are born from two warring races, grants them the opportunity to open their minds and discover the truth about their origins as a unified people. This is what I would love for readers to take away from the story - the true origins of hatred and the importance of love of self. I'm hoping that this will compel more people to read this story and take away the very important message at its core.